The perfect recipe for Valentines Day, rich and decadent with a luxurious texture, this cheesecake is easy to make in advance. First line a 23cm round baking tin with parchment paper. 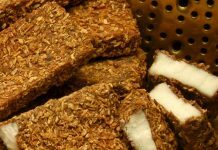 Take the digestive biscuits and place in a plastic food bag and crush to crumbs with a rolling pin. You could also use a food processor for this step but it seems a lot of washing up for nothing. Put the crumbs in a bowl and pour over the melted butter. Mix well to ensure all the crumbs are coated in the melted butter. Put the crumbs into the baking tin and press down with the back of a spoon to create a solid even layer. Place in the fridge to set for approx. 1hr. Take the cream cheese, icing sugar and vanilla extract and place together in a bowl. Using an electric mixer, mix well until all the ingredients become smooth. Add the cream and mix again until everything is combined together. 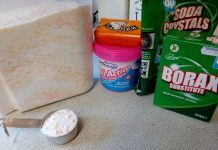 Spoon the cream mixture onto the biscuit base starting from the outside in. Use the back of the spoon to ensure there are no air bubbles in the mixture. 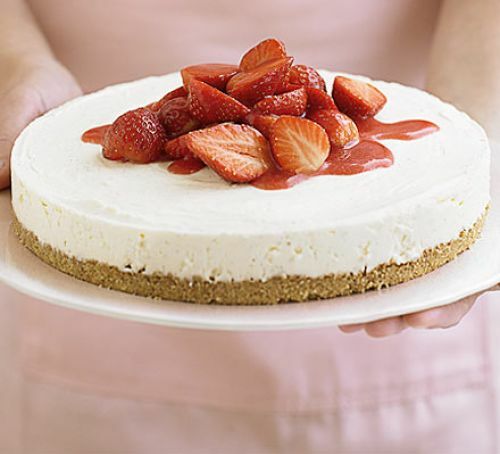 Place the cheesecake in the fridge overnight to set. Do not be tempted to just leave it for a few hours, it will not have the same luxurious texture if you don’t leave it long enough. For decoration you could drizzle with melted chocolate or fruit puree added to a few slices of some fresh fruit. Serve with someone special, one plate, two spoons.